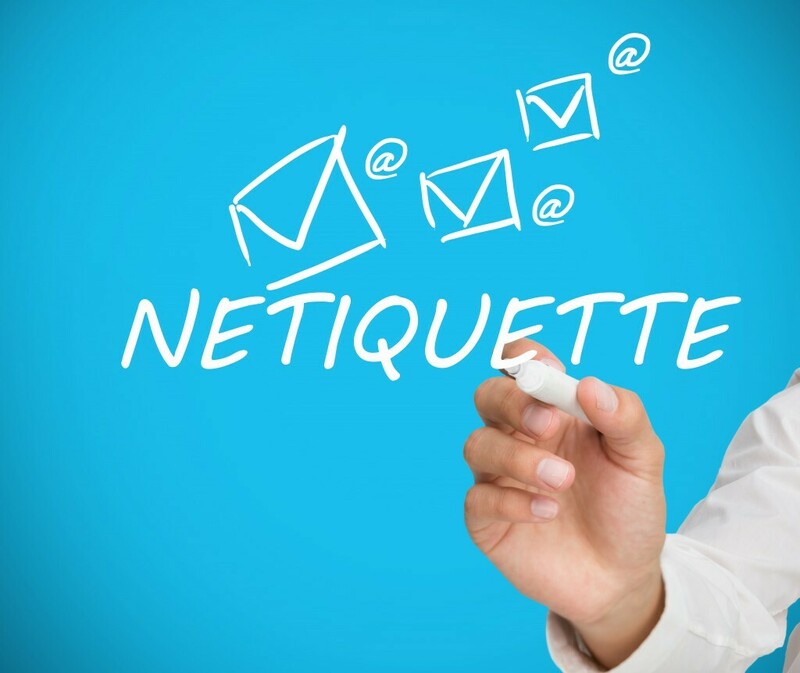 Video Conference Etiquette Tips - ICF Connecticut Chapter, Inc. Many of us are not quite used to video conferencing. We don’t know how to act, where to look, what to wear, and so forth. That’s why we’re so excited that Warren Farmer, Zoom user and Director of Conferences and Events at Behringer Harvard, put together a helpful guide to video conference etiquette. It’s easy to give in to the temptation to wear sweatpants and an old t-shirt because you’re working from home. However, your colleagues and customers expect you to have a professional appearance. Dress for your video conference the way you would for an in-person meeting. Control video and audio quality. If your computer is more than a few years old, or does not have a camera or microphone, invest in a quality webcam and speaker and microphone headset. These provide better video and audio than your computer’s built-in system. Try to hold meetings in quiet, indoor locations to control ambient noise. Don’t sit directly in front or beside a bright light source, or else all the audience sees is a bright light and a shadowy figure. Experiment with moving lamps and your camera until you can see your brightly-lit face on the screen. Try to provide a nice, plain background. If your treadmill is in your office and you use it more as a place to hang laundry, that’s not really the best visual for your audience. You can’t control everything in a mobile environment, but you should give some thought to background prior to your meeting. Practice speaking to the camera and not the screen. Our tendency is to look at the person on the screen, but you should look at the camera when you speak so the audience feels like you’re talking directly to them. Mute your microphone when necessary. Zoom has a “Mute Microphone” option that cuts down on ambient feedback for the audience. When there is a lot of back-and-forth discussion you will turn this off, but you should mute yourself when listening to a presenter. Think about your actions on camera. Always remember that everyone can see you. Someone is watching as you take a big, wide-mouth yawn, stretch, or wander around the room. These exaggerated movements are distracting to the audience and can be disruptive to the speaker. Try to stay still and be attentive – or at least act attentive! If you are unfamiliar with live video workshop trainings, the following suggestions and tips will make it an easy and enjoyed learning experience for everyone on the call. Write down your conference access number in a convenient place so you can find it on the day of your meeting. Be prompt — connect to video conference number a few minutes before the scheduled time. Verify the correct starting time of the class for your time zone. Workshop times are indicated in Eastern Standard Time. Go to World Time Server to find your own corresponding time. If you know that you’ll be arriving or leaving early, please let the leader know this as early as possible. Sending this notice to the leader by email before the class is highly recommended. Please do not join the conference and immediately burst into the conversation. Listen first to get into the context and flow of the discussion. Be aware of your impact.